While attending the annual Charleston Conference Vendor Showcase, a librarian stopped at our table and said, “I’m looking for a service that can pull all our COUNTER data together so it’s easy to use.” We had a ready answer, as that is exactly the purpose of our recently launched Library Dashboard, which provides a complete overview of journal, e-book, and database usage and turn-away statistics, in one place, with intuitive data visualization tools. We love demonstrating Library Dashboard to librarians, and Charleston was a great venue for this. 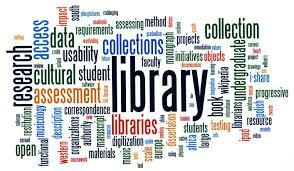 COUNTER data and SUSHI protocols can be off-putting, but when the data are brought to life in ways that make sense, you can see librarians lean forward and begin to see the possibilities – saving time, less manual work, easier decision-making. Librarians tell us that their eResources management systems work pretty well for evaluating new resources for purchase and implementing those resources, but are less useful when it comes to evaluating resources for renewal, particularly analyzing usage data. This is the gap our Library Dashboard fills, making it easy to view usage, compare usage, and calculate cost-per-use. One thing the librarians who visited us in Charleston really liked was the ability to see data organized by title, bundle, publisher, and discipline. They were also excited to learn that they can see journal and e-book data alongside aggregator reports. They liked the ability to view the data by abstract or full-text, denials, expiring subscriptions, cost-per-download, and more. In addition, you can customize reports and bookmark the ones you use the most. Perhaps the thing they liked the best is that RedLink does the work of harvesting the data, so librarians don’t have to retrieve it from multiple sources, or upload it. As you can tell, we are very excited to have launched Library Dashboard and look forward to working with the library community to simplify what we know has historically been a complex process.